As most of you know, I LOVE my iPad. I take it everywhere. But, it’s not very handy for updating my WordPress sites. 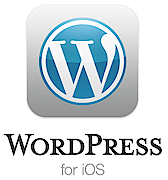 That changed today, with the announcement of an updated WordPress iOS (Operating System) for iPhone and iPad. I got it immediately, and here’s my review and how to use it. This is a long post, but I know you want to put this app through its paces, so I included everything you’ll want for an initial how-to. And, you’ll want to read it through to see the one feature it lacks that has caused me to temporarily uninstall it. You can download the app from iTunes. You can read about on the WordPress.org iOS page and read the announcement on the WordPress.org blog. I chose the last option and was asked for the URL of my site, plus the Username and Password. Now, if you don’t already have security features setup on your device, this would be a good time to add them. You certainly don’t want folks to wipe out your site if your device gets lost or stolen. The next message I received was that XML-RPC services were disabled on my site. Simply put, it means that I had not set up my site to be updated via a remote login. You can enable this feature by going to your site and clicking the Settings > Writing link from your Dashboard. Scroll down to the Remote Publishing section and check the box to enable XML-RPC updates. Then click the Save Changes button. After enabling remote publishing, I clicked the Save button on the app and it came up with a blank, gray screen. In the top left is the My Blog button. Clicking it reveals a drop-down of your site URLs. I selected BlogAid and it produced a screen with tweets that mention my site, plus a drop-down of recent comments to my posts. Click the up/down arrows on the top right to scroll through the comments. Click the little rounded arrow in the lower right corner to reply to a comment. Click the trash can in the lower left to delete a comment. Click the square with arrow icon at the bottom center to unapproved/mark as spam/edit a comment. Clicking the Posts icon changes the contents of the drop-down to your list of recent posts. If you click one to highlight it, the HTML version of it is presented on the screen behind the drop-down. If nothing is highlighted, then the blank, gray screen appears in the background. Click the square with pencil icon in the top right of the drop-down to write a new post. You can create the title and content, plus select the Tags and Categories from the text editor screen. Before you tap to write anything, you’ll notice several icons at the bottom. The pencil one on the left is highlighted already, to indicate that you are on the draft creation page. The little gear one takes you to the Publish module where you can select options for publishing immediately or later. The eye icon takes you to a preview. On the right are two more icons. The paper clip is grayed out on my iPad, but I assume it is for uploading an attachment or document. The image icon allows you to include an image from your photo library. This is the library on your device, not the Media Library on your site. I’m using this app on an iPad (original), so there are even more cool features available on an iPhone and iPad2 version of the app. You can see them in the WordPress blog post. Cancel and Publish buttons remain in the title bar when you are in any of the Post pages. Clicking the Pages icon from the My Blog drop-down gives you a list of your recent pages and an HTML view of the content in the background. Most everything about it works the same as with the Post icon mentioned previously. The last icon in the drop-down is Stats and requires that you have the WordPress.com stats plugin installed and configured on your site. Since I’m on a self-hosted site (not WordPress.com), and use Google Analytics plugin, this is of no use to me. But, the plugin is available from the WordPress.org plugin directory, so it can be used on self-hosted sites. (I’m sticking with what I’ve got.) An alternative is to install the JetPack plugin, which includes several features that have been available on WordPress.com for a while, including stats. And here’s the real pesky part of it. The only options in the pop-up are Learn More and I’m Ready. You can’t cancel out of it. I clicked Learn More, since I didn’t want to install it, and it still took me to the plugin’s info page using my browser. I had to close that and go back to the app. There’s also a location map feature that will geotag your post, which is handy if you want to show folks the exact location you’re in that matches the pretty picture you just uploaded to your post. This is a cool app that folks who want to post on the fly will find useful. While all the improved features are great, the developers are still squarely focused on making the app as stable as possible. In other words, there are still a few bugs and it crashes once in a while. 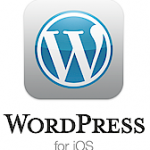 You can see the full WordPress for iOS Trac for the latest. There were several threads on the Quick Picture feature, which is what I assume will be this app’s most popular feature. Since that’s the case, I’m wondering if they will make a way for you to select which admin page you land on first. If you use the picture feature a lot, maybe you would like to have it pop-up by default. iPhones and iPads are portable devices. I am not keen on the fact that I can’t log my site out of this app. Some may find the “always on” aspect handy, but I see it as a major security risk, which is why I’m temporarily uninstalling it. I’ll be reporting this issue on the iOS support forum and will keep you posted on replies. This app certainly can’t replace the full WordPress interface for making the majority of your posts or admin duties. But it sure is great for replying to comments and making quick posts that don’t require any formatting. Because I’m using it on an iPad (original), the photo feature doesn’t do me much good. But folks with iPhones and iPad2s will definitely have some fun with it. Have you tried the new iOS app yet? What do you think? I will not have access to DSL for a number of weeks this summer and need to keep up with garden blogging. I am considering an iPad with 3G which I already know works where I will be. Here are the things that are important to me: reading other blogs and commenting, composing posts for my blog with significant text and photos (up to 20 a post), downloading photos from my camera to the iPad, reading and answering my own comments. I would really love your guidance as to whether I will be able to do all this. Thanks for contacting me. You can read and reply to blog posts very well on an iPad. But, you will not be able to compose posts for your own blog easily, as you will only have access to the HTML part of the text editor. Unless you are familiar with working in code, I would not recommend it. I started creating sites back when everything had to be hand coded and even so, I don’t like having to do it manually on a WordPress site via my iPad. I have the original iPad without the the camera kit, so I’m not able to tell you how easy or difficult that is to do. The new iOS app for updating via iPad is really geared toward placing pictures with very little text on your site. But, I also removed that app because there is a real security issue with it at the moment. The formatting options are still in HTML even then too. So, you can post from your iPad, but the formatting options will be extremely limited with or without the app. If I were adding that many pictures, I’d want to do it in the Visual view mode in the text editor, and not in the limited text editors you’ll have via the iPad.